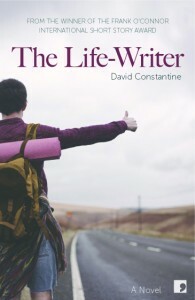 Poet and translator David Constantine was awarded the Frank O’Connor International Short Story Prize 2013 for his collection, Tea at the Midland, the title story of which won the BBC Short Story Prize in 2010. 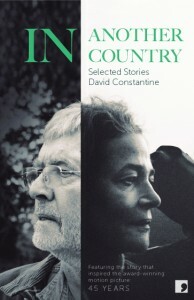 This year, his story ‘In Another Country’ appeared in a new incarnation (adapted/extended by director Andrew Haigh) as the acclaimed film 45 Years, starring Charlotte Rampling and Tom Courtenay. 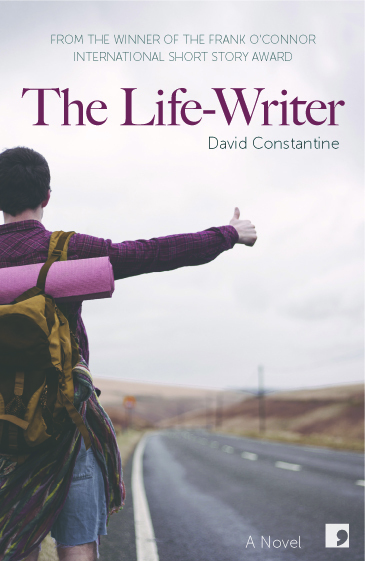 The Life-Writer is his long-awaited second novel. In Another Country is a specially selected collection of the best of Constantine’s stories from the last two decades, published to celebrate the launch of the film. Read together, they show a passionate and sensitive writer’s mind dealing with the great questions of life. ‘In Another Country’, the first story in the eponymous collection, shows a wife reacting in a very different way. Mrs Mercer is appalled to hear that her husband had a previous life. The story is based on the shocking idea that someone from the past can be preserved in ice as he or she was then. Mr Mercer lost a girlfriend down a crevasse in Switzerland and, in his 80s, has just been told of the discovery of her body. ‘He fell back down the decades’, and elsewhere ‘stared at his face [in a photograph], trying to fetch out the twenty-year-old’. Whereas in the film it is her sorrow and anger that come across most strongly, here, in the story, it is his grief: he feels and feels and remembers and is pulled back and needs help to understand and bear it: ‘Though he was the one with the information his face seemed to be asking her for help with it.’ Significantly, in both the story and the novel, the wives are childless and the earlier girlfriends pregnant. The remaining sixteen stories in the collection are so rich and thought-provoking, so deserving of slow and careful reading, that I found myself able to imbibe only one or two at a time. Constantine’s imaginative empathy seems inexhaustible, his questions (embodied in his characters) of the first importance. Here are old men with sexual fantasies, lovers with dreadful anxieties, loners or eccentrics of all kinds with access to epiphany. There are stop-in-your-tracks descriptions of the natural world, such as one in an apple-orchard: ‘Quietly they moved through the apple light plucking fruit that was shining pearl and shades of red and gold and underwater green.’ Water appears everywhere, its lineaments and movement charted with real love. Just one of many stand-out stories is ‘Under the Dam’ – the Lawrentian history of a love triangle.